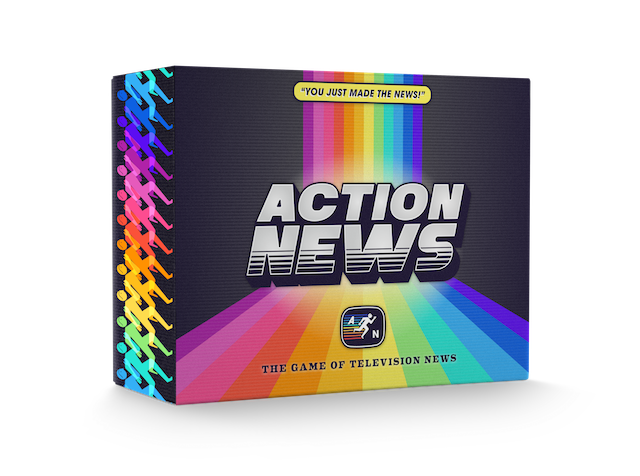 Action news is on sale now, but our inventory is limited. If you want to make sure you get a copy this year, order now! event into the best news story. As a reporter, you'll have limited time to collect story parts, including quotes, sources, tag lines, and sign-offs. 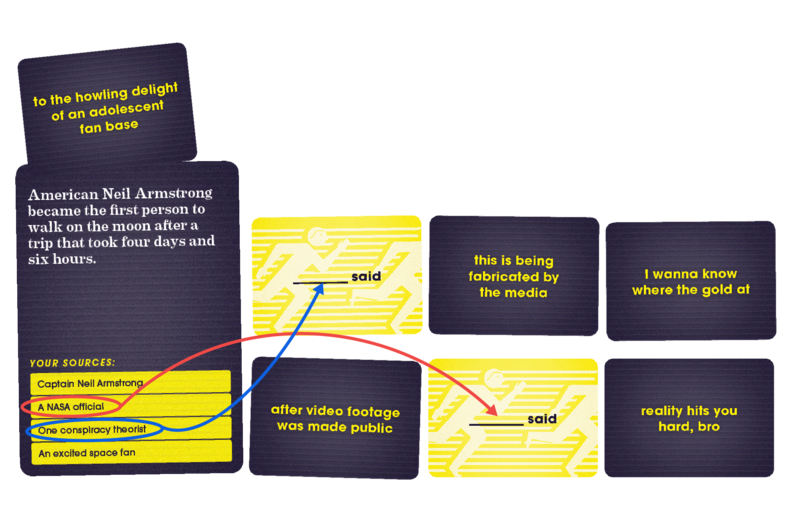 You’ll combine these pieces with your news event to build your story. Think of Action News as rhetorical Tetris; or an anthropomorphic set of refrigerator magnet poetry after it went to college and got a journalism degree. 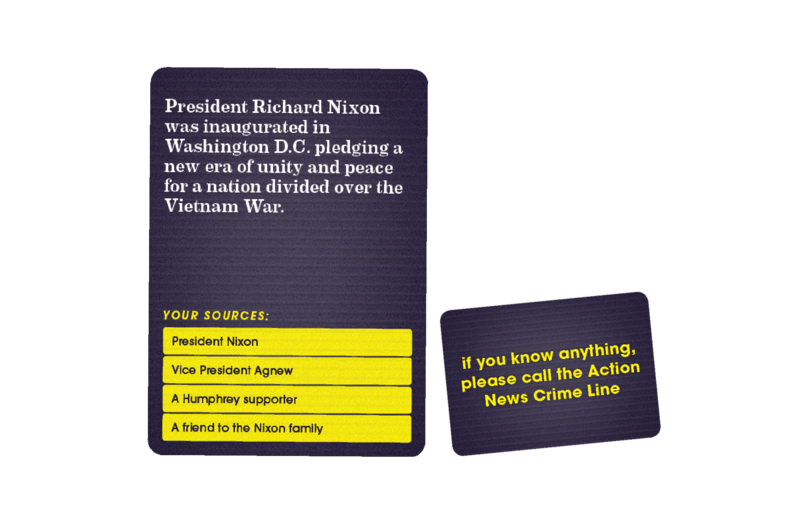 The humor in Action News arises from the bombastic, wacky stories and situations you'll create around the most important events from the 1960s to today. The base game has no unseemly language to worry about. Warm up your best Ron Burgundy or Veronica Corningstone impression and download the free Action News Timer mobile app. 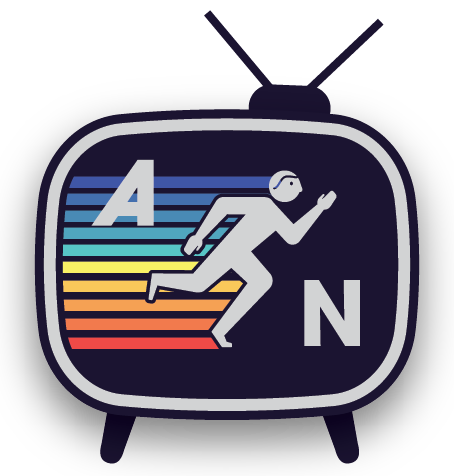 The app keeps track of time and plays television news introduction music; adding thematic flair to your game night.